He is also seen as the mastermind of last month's rounding-up of more than 200 princes, ministers and businessmen in a sweeping anti-corruption purge. New York: Saudi Crown Prince Mohammed bin Salman is the actual buyer of a painting by Renaissance master Leonardo da Vinci that sold for a record-breaking $450 million at auction last month, The Wall Street Journal reported Thursday. The young and dynamic crown prince, known by his initials MBS, used an intermediary to buy the much-sought-after painting of Christ, "Salvator Mundi," the newspaper reported, citing US intelligence and other unnamed sources. The son of Saudi King Salman is seen to be progressively consolidating his power, and is the architect of a wide-ranging plan dubbed Vision 2030 to bring social and economic change to his country's oil-dependent economy. The painting -- one of fewer than 20 works generally accepted as being by the Renaissance master, according to Christie's -- was bought by little-known Prince Bader bin Abdullah bin Mohammed bin Farhan al-Saud, reports say. 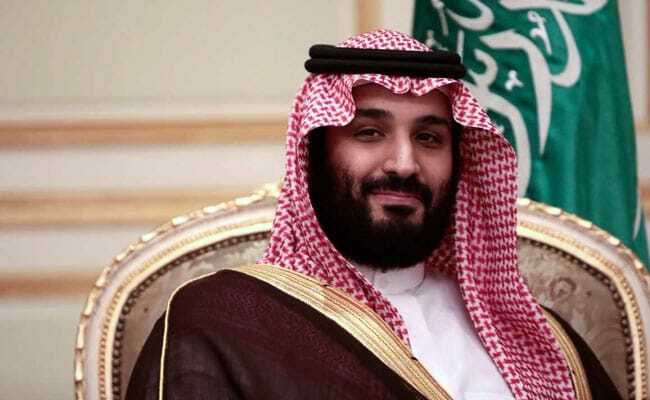 The Journal reported that Bader was the nominal buyer, but said MBS was identified in US intelligence reports as the true owner. "He is a proxy for MBS," an unnamed figure in the Gulf art world told the Journal. "Salvator Mundi" -- dated to around 1500 -- is the last known Da Vinci in the hands of a private collector. It was long believed to be a copy but was finally authenticated about a dozen years ago.